A few weeks ago we put forward a brief introduction to the great Sage Kapila, together with a few fragments and hints as to the possible nature of the original and complete Samkhya system, a system that we, at present, do not have full access to. This week we will take another step in our exploration of Samkhya with an introduction to the core text of the Samkhya philosophy, as it is known today: the Sāmkhya Kārikā of Iśvara Kṛṣṇa. In theosophy one will often come across certain (to us, mysterious) terms drawn from the ancient Indian traditions. Terms like Purusha, Prakriti, Mahat, Buddhi, Manas, Ahamkara, and so on. We will often come across explorations of the five senses, the five elements, the five pranas or “breaths”. We are confronted with repeated references to the gunas (Sattva, Rajas and Tamas). These principles/elements (called tattvas in the Sanskrit), and the complexity of their relation to one another, form the central foundation of Samkhya philosophy. While theosophical teachings as to the nature of the tattvas may differ from orthodox interpretations of the Samkhya system, theosophists will find much value in a study of them through the Samkhya texts. There is one thing Samkhya does that we find nowhere else in either ancient eastern traditions, nor even in modern theosophical literature, and that is a systematic, logical and ordered treatment of these tattvas, working from the “highest” to the “lowest”, step by step, with analysis at every rung of the ladder. This treatment is essentially that of emanation, from the subjective to the objective, from the arupa to the rupa, from the unmanifest to the manifest. We are taught which tattvas are responsible for evoluting others, which are simply evolutes of higher tattvas; we are taught their relation to self-identity, to self-consciousness, to sensation and action. We are taught the role of the three gunas, the fundamental principles of “Creation, Preservation and Destruction”, in bringing forth the multiplicity so apparent in manifestation. All these things are outlined in Samkhya philosophy in ordered, logical steps. When studying the Samkhya Karika, one begins to sense that what we have before us is but a brief and simplified outline of a much more detailed, complex and vast system of philosophic and psychological science. And we may suggest that the combined study of the Samkhya Karika alongside the Secret Doctrine may reveal much of this hidden science. We would further suggest that the Samkhya Karika (and the Samkhya system as a whole) shed much light and meaning on the complimentary Yoga Darshana and the Yoga Sutras of Patanjali. To proceed with an introduction to the text itself, we can do no better than to quote from a learned Theosophist, who has done us the great favor of sketching a summary of modern developments in regards to Samkhya texts. As the Samkhya Karika is a relatively little known and little studied text, even among theosophists, this sketch will provide much needed context. As we’ll see, much has been brought to light as to the history of these texts in the last century, and, with any luck much more will come to light in the next. In closing, we may suggest that the revival of Samkhya philosophy and its return to its proper place among the Indian Darshanas is dependent upon those who have made themselves fit to interpret the fragments we have available today, and their willingness to shed light on the true meaning, relations and roles of the tattvas. We are sincerely interested and hopeful that the coming century might bring such a revival. In Indian tradition, Sāṃkhya is regarded as the oldest philosophical system, and its founder, Kapila, is regarded as the first knower (ādi-vidvān). Yet, by the year 1900 of the Common Era, study of this venerable system had been reduced to only about two books (along with their commentaries), and even one of these is of doubtful authenticity. Sāṃkhya’s grand old sourcebook, the Ṣaṣṭi-tantra (pronounced Shushti-tuntra), “Sixty Topics,” had long ago disappeared. It had entered the realm of myth to such an extent that “ṣaṣṭi-tantra” had come to be seen primarily as a list of the sixty topics of Sāṃkhya rather than as a book on them. But after the turn of the century, things began to change. One by one, old texts were discovered and came to light. References in these texts to legendary old Sāṃkhya teachers and quotations from their lost writings, including the Ṣaṣṭi-tantra, showed that they really did once exist. Thus they were brought back from the realm of myth to the realm of reality. Of the two books on Sāṃkhya studied in recent centuries, the Sāṃkhya-sūtra should have formed the textbook of the system, just like the Yoga-sūtra formed the textbook of the Yoga system. But the Sāṃkhya-sūtra now known seems to be a comparatively recent production, since no old Sanskrit writer quotes it. The summary of the Sāṃkhya system found in the Sarva-darśana-saṃgraha, written in the fourteenth century C.E., does not quote the Sāṃkhya-sūtra, but rather quotes the Sāṃkhya-kārikā. The brief Sāṃkhya-kārikā has long functioned as the actual textbook of the Sāṃkhya system. It describes itself as a summary of the Ṣaṣṭi-tantra. Its seventy (or seventy-two) verses have usually been studied by way of the commentary by Vācaspati Miśra. This commentary, which employs the later commentary style of raising objections and answering them, had supplanted the simpler and more concise commentary by Gauḍapāda. This occurred despite that fact that Gauḍapāda’s has always been recognized as being older, and his name carries much authority. So by the year 1900 C.E., Sāṃkhya had come to be studied through the Sāṃkhya-sūtra, of questionable authenticity, and through the Sāṃkhya-kārikā as explained by Vācaspati Miśra, who often differs from the older explanations of Gauḍapāda. Then in 1904 a very unusual text was published. Earlier, Samuel Beal had announced in 1878 that a translation of the Sāṃkhya-kārikā with an old commentary was found in the Chinese Buddhist canon. Why had this Hindu text been translated into Chinese in the sixth century C.E. and included in the Buddhist canon? It was called the “Golden Seventy,” or Suvarṇa-saptati in Sanskrit, referring to its seventy verses. A French translation of this Chinese translation was made by J. Takakusu and published in 1904. This French translation provided access to this Chinese text and made it possible to directly see that the commentary on these verses was very similar to Gauḍapāda’s commentary; so much so that at first the two were thought to be the same. But this changed with the discovery of Māṭhara’s commentary. In 1917 S. K. Belvalkar announced the discovery of the Sanskrit Māṭhara-vṛtti, the lost commentary on the Sāṃkhya-kārikā by Māṭharācārya. Māṭharācārya, the teacher (ācārya) Māṭhara, had been known only from a few old references, as an ancient teacher of Sāṃkhya. His commentary, published in 1922, was also seen to be very similar to Gauḍapāda’s commentary. Belvalkar held that Māṭhara’s commentary (or an early version of it) is the one that was translated into Chinese so long ago. He further held that Gauḍapāda’s commentary was a simplified abridgement of Māṭhara’s commentary. Others disagreed with him on both points. Takakusu’s French translation of the sixth-century Chinese translation had been translated into English by S. S. Suryanarayanan and published in 1932, and the early Chinese translation had been directly retranslated into Sanskrit by N. Aiyaswami Sastri and published in 1944. So Sanskritists in India (and elsewhere) had access to these texts and could compare them for themselves. There were agreements and disagreements between the three texts. Then the situation became more complex with the arrival on the scene of two more such texts. In the mid-1900s an exhibition of some of the rare treasures from the legendary Jaina libraries of Jaisalmer, Rajasthan, was organized at the National Museum in New Delhi. Blavatsky speaks of these libraries in From the Caves and Jungles of Hindostan (Collected Writings ed., pp. 75-76), and of their well-deserved reputation for keeping their holdings entirely inaccessible to others. This exhibition represented some of the first outside access to these long jealously guarded manuscripts. It included two very old palm-leaf manuscripts of hitherto unknown Sanskrit commentaries on the Sāṃkhya-kārikā, manuscripts that had been copied nine hundred years ago. The dry desert air of Jaisalmer, in stark contrast to the humidity of most of India, made possible their remarkable preservation. These two anonymous commentaries, designated Sāṃkhya-Saptati-vṛtti and Sāṃkhya-vṛtti, were eventually edited by Esther Solomon, and both published in 1973. They are both very similar to each other. They are both also very similar to Gauḍapāda’s commentary, and thus to Māṭhara’s commentary, and thus to the commentary translated into Chinese in the sixth century C.E. In fact, Solomon put forth the view that the Sāṃkhya-vṛtti is the oldest of these and was the one that was translated into Chinese, and that the other commentaries are indebted to this commentary. Thus, from 1904 to 1973, we went from having just Gauḍapāda’s old commentary to having four more closely similar old commentaries on the Sāṃkhya-kārikā. For several decades, as these came out one by one, scholarly discussion centered around who borrowed from who, and which of these was the original. But another fact changed this picture, and we can now see that they obviously all drew upon the same source, namely, the lost Ṣaṣṭi-tantra. This explains why their comments on each verse are so similar, yet not identical. Each writer, following the Ṣaṣṭi-tantra, took the same explanation and condensed it, taking some parts and leaving others. This condensing is also what the author of the Sāṃkhya-kārikā said he did in writing his seventy or so verses. However, even in time of Vācaspati Miśra, who lived in the ninth or tenth century C.E., the Ṣaṣṭi-tantra had apparently been lost long enough that he explained the term “ṣaṣṭi-tantra” in his commentary as the sixty topics of Sāṃkhya rather than as a book. This idea continued to dominate until the mid-1900s. What changed this picture was the discovery of actual quotations from the Ṣaṣṭi-tantra. In 1930 M. Ramakrishna Kavi announced the discovery of Bhartṛhari’s own commentary on his Vākyapadīya. This long lost commentary was edited by Charu Deva Shastri and first published in 1934. It gave a quotation (on 1.8) that was specifically identified by the sub-commentator Vṛṣabhadeva as being from the Ṣaṣṭi-tantra. In itself, this was little more than Vācaspati Miśra’s attribution of a quotation in Vyāsa’s Yoga-sūtra commentary (on 4.13) to the Ṣaṣṭi-tantra. But by now the evidence had started to accumulate. A few years earlier, in 1926, another hitherto unknown commentary on the Sāṃkhya-kārikā was published, the Jayamaṅgalā. The Jayamaṅgalā referred to (although did not quote) the Ṣaṣṭi-tantra on six occasions, and referred to it as a book. That the Ṣaṣṭi-tantra was a real book was put beyond doubt a couple of decades later in far-away Austria. In 1958 was published in Vienna an article by Erich Frauwallner in which he traced many quotations from the Ṣaṣṭi-tantra. These came from an old Buddhist text and its commentary, then preserved only in Tibetan translation, and from an old Jaina commentary on a lost text. The Jaina text, Siṃhasūri’s commentary on Mallavādī’s lost Dvādaśāra-nayacakra, gave detailed accounts of particular teachings of the Ṣaṣṭi-tantra, along with quotations from it. 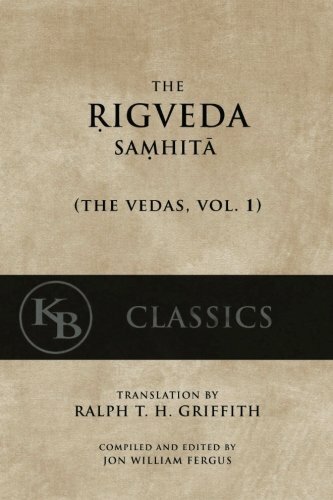 The Buddhist text, Dignāga’s Pramāṇa-samuccaya and especially its commentary by Jinendrabuddhi, provided many more quotations from the Ṣaṣṭi-tantra. In recent years, after prolonged negotiations by Ernst Steinkellner, an agreement was reached that allowed the Austrian Academy of Sciences Press and the China Tibetology Publishing House to jointly publish some of the many Sanskrit texts that had been discovered in the 1930s by Rahula Sankrityayana in Tibet. Thus in 2005 was published chapter 1 of Jinendrabuddhi’s commentary, the Viśālāmalavatī, in which one can see with his or her own eyes the Sanskrit quotations from the Ṣaṣṭi-tantra. What was the biggest event of the twentieth century for the history of the Sāṃkhya school yet remains to be described. As noted at the outset, by the year 1900 C.E. most of the texts of the Sāṃkhya system had long been lost, and only a couple then remained. In 1938 was published a hitherto unknown but extraordinary commentary on the Sāṃkhya-kārikā, called the Yuktidīpikā. Although not one of the old commentaries like Gauḍapāda’s and the other four similar to it, the Yuktidīpikā opens for us a window onto the time when Sāṃkhya was a living philosophical system in India. It preserves the controversies between Sāṃkhya and other philosophical schools when Sāṃkhya was still vital. The Sāṃkhya views were strongly held and vigorously defended, as if one’s life depended on it. For their upholders, it did. Philosophy in India was not speculation, as it became in the West. It was pursued in order to find the best and most effective way of reaching liberation (mokṣa). This was the great goal of life in India. — David Reigle, September 4, 2013. English translation of the Samkhya Karika with the commentary of Gaudapada.